The Drones are coming! The Drones are coming! The video below called “Dronology 101: Tongue in Cheek – Drool on Desk” is the first attack. As you know my recent posts have been about the general topic of mindful listening. One thread of this exploration will entail playing with the nature of “drones” and how they relate to mindful listening. What kind of drones am I talking about? The dictionary provides a number of definitions for this term, some of which I’ve listed below. 1. an unmanned aircraft that can navigate autonomously. 4. to proceed in a dull, monotonous manner. 5. a continuous low tone produced by a musical instrument like bagpipes. 6. a genre of music using drone like instruments. 7. the male of the honeybee, stingless and making no honey. 8. a person who lives on the labor of others; a drudge. Well, the answer is that I will most likely end up touching on all of these forms of drones. However, my investigation will always focus on musical droning. Drone music is a minimalist style, that emphasizes the use of sustained or repeated sound, notes, or tone-clusters-called drones. It is typically characterized by lengthy audio programs with relatively slight harmonic variations. 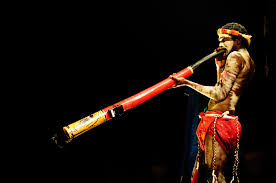 Some examples of ethnic or spiritual music which contains drones includes bagpipe traditions, didgeridoo music in Australia, South Indian classical music, Japanese Gagaku tradition, and medieval European chants. Today, drone music is primarily created using digital processes; check out the online station, The Drone Zone at Soma FM. The fact that this form of music, both traditional and contemporary, is seen as having a spiritual or consciousness- altering effect makes me wonder whether it can help induce what I have been calling “mindful listening”. This is of interest to me because typically, any sound that is unvarying can certainly induce boredom or sleepiness. Is it, I wonder, possible to produce art that has elements of this repetitiveness and monotony and still provide opportunities for the audience to attend mindfully? At this point I am not sure of the answer and so future posts will play with this question. As always, your comments will help with my investigation. It seems appropriate to begin with the short music video which I have titled “Dronology 101- Tongue in Cheek – Drool on Desk. Let me know what your experience of this piece was like in the Reply Box. Be sure to turn up your volume and for better results use stereo speakers or headphones. In case you were wondering about the phrase “Drool on Desk”, check out the wonderful film Ferris Bueller’s Day Off.